Applications Commercial, municipal and residential high-rise buildings, Large industrial premises and storage warehouses, Offshore and remote facilities, Airports, Power stations. 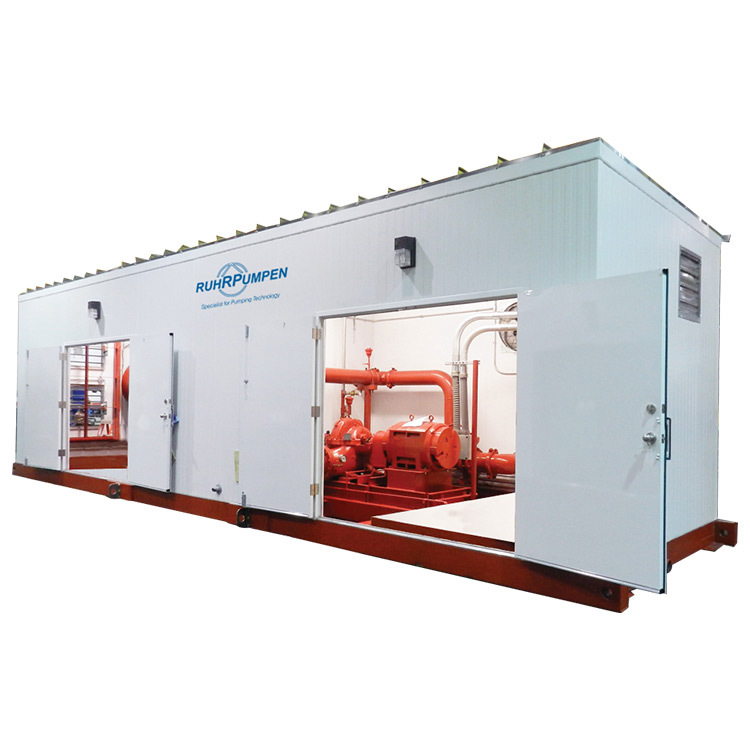 In order to match the specific requirements of any application, our engineering team can design fully pre-packaged units with environmental enclosures. The system is delivered on a single shipment, leaving only pipe and power connections to be completed on site.